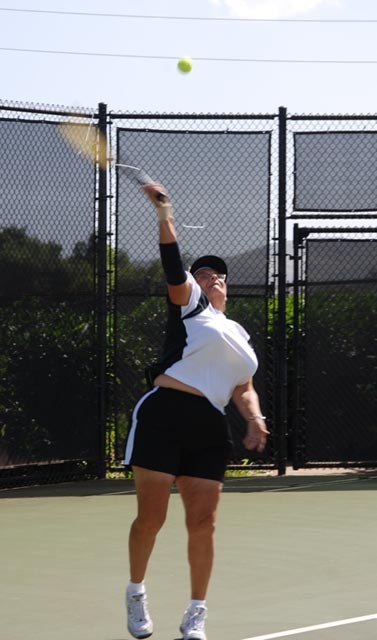 On Thursday, May 8, two of us local, mature tennis players went to watch GCU play against 2nd seeded host team Hawaii Pacific University, and were thoroughly captivated by Johnson’s court demeanor and play. GCU didn’t win, but this team, built up by first-year coach, Greg Prudhomme is a testimony to good-story, heart-warming athletic endeavors. Johnson media interviews with CBS, NPR and other media link to talk of even a movie deal. The two of us were inspired, so no argument that a big screen story would be any less inspirational to other tennis folks world ’round. Sheila’s stellar play was grounded on steady placement, deep on the baseline or close to sidelines, quick reactions at the net, and good anticipation of a return shot. 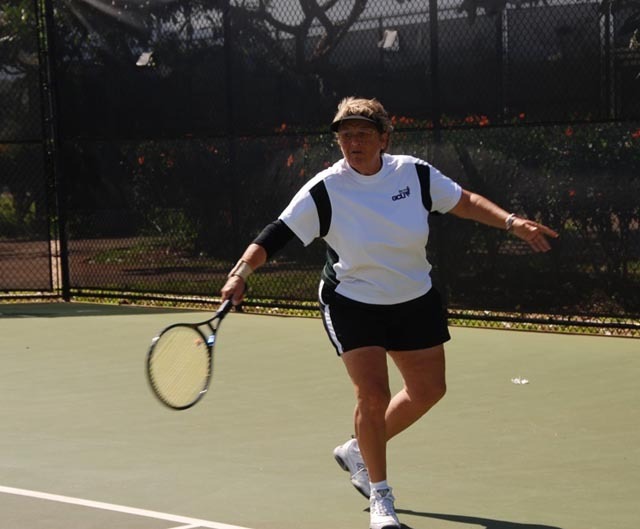 Her much younger, singles opponent often showed frustration, once smacking a ball against the opposite fence on a change over. 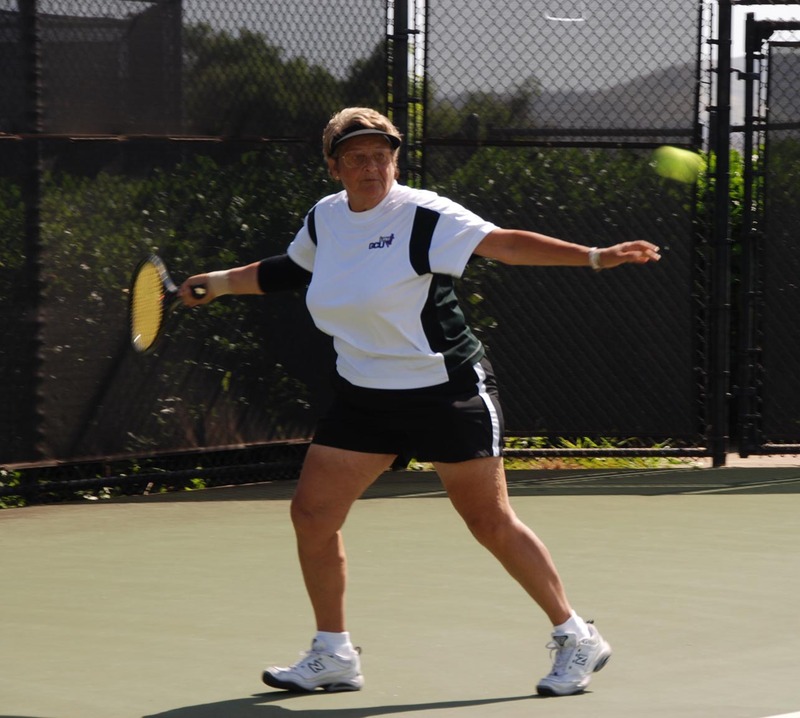 Singles is Sheila’s game, though she did admit to getting winded in her set–called at 4-5 when HPU won two match-winning singles on other courts. Those watching were disappointed that the set couldn’t be played out, as it was great tennis to watch. 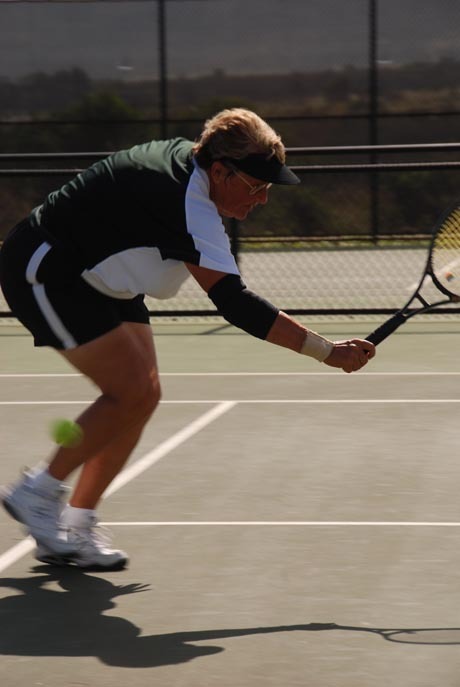 A student-athlete at 60. Sheila Johnson has set the bar higher.